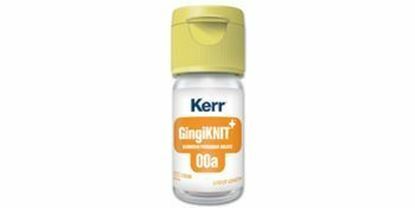 Gingi Pak Soft Twist with epinephrine is a high quality, easy to pack, very absorbent and adaptable retraction cord suitable for all clinical applications. Braided cotton fiber specially treated for faster absorption. 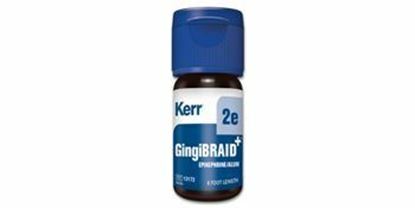 Braids have a background color (for medicament identification) and a second color to identify diameter. 72" per bottle. 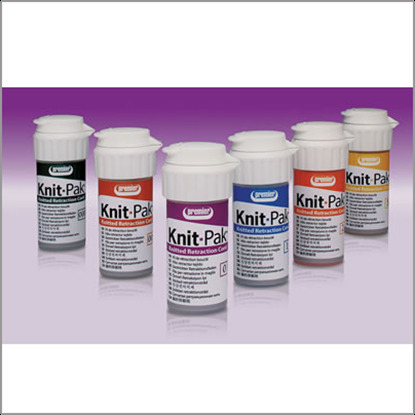 Knitted retraction yarn that conforms to sulcular anatomy with gentle outward force. 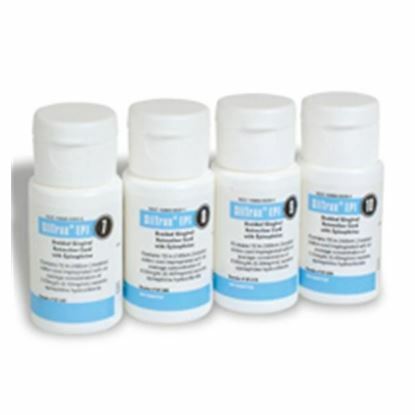 Places easily without fraying or memory and will not “pop-out” of the sulcus. 72" per bottle. 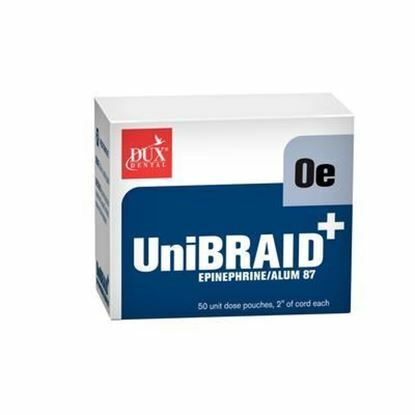 UniBraid+ packets contain one pre-cut, 2" length of GingiBraid+ dental retraction cord that is impregnated and dried with a solution of approximately 8% racemic epinephrine (a vasoconstrictor) and 7% aluminum potassium sulfate (an astringent).